Abstract. Randomization inference or permutation tests are only sporadically used in economics and other social sciences—this despite a steep increase in randomization in field and laboratory experiments that provide perfect experimental setups for applying randomization inference. In the context of causal inference, such tests can handle problems often faced by applied researchers, including issues arising in the context of small samples, stratified or clustered treatment assignments, or nonstandard randomization techniques. 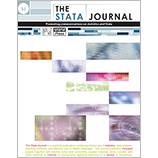 Standard statistical software packages have either no implementation of randomization tests or very basic implementations. Whenever researchers use randomization inference, they regularly code individual program routines, risking inconsistencies and coding mistakes. In this article, I show how randomization inference can best be conducted in Stata and introduce a new command, ritest, to simplify such analyses. I illustrate this approach’s usefulness by replicating the results in Fujiwara and Wantchekon (2013, American Economic Journal: Applied Economics 5: 241–255) and running simulations. The applications cover clustered and stratified assignments, with varying cluster sizes, pairwise randomization, and the computation of nonapproximate p-values. The applications also touch upon joint hypothesis testing with randomization inference.